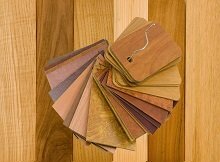 As a leading Melbourne flooring company, Hartnett Flooring offers a wide array of wood floors. Each type comes with its own advantages and disadvantages and the best way for you to make an informed decision is to know the valuable information about each type. This features many layers of synthetic flooring product that have been fused together with the use of a laminating process. The best thing about this type of flooring is that it can resemble just about any type of flooring including wood and stones. This is comprised of a single piece of wood that features groove sides and tongue. The downside of this wood is that it is very sensitive to moisture, it must be installed with the proper precautions to ensure adequate ventilation and protection from under the floor. Many home owners prefer this as it can be refinished and can be coated multiple times throughout its long life span. This type of wood flooring is made up of wood veneers. The veneers used can be the of the same type or of different species. The grain that the veneers have run in different directions, making the wooden flooring a lot more stable than all the other types. Because of this, engineered wood flooring can resist expanding and contracting that are usually brought about by fluctuations in humidity and temperature. Parquet flooring is also solid wood flooring but this has very different look as compared to other hardwood floors. The flooring features geometrical patterns made up of individual slats that have been held in place by either and adhesive or a mechanical fastener. Our staff is willing to help you find the perfect type of wooden flooring for your needs. Simply give us a call and allow us to provide you the information that you need to make the right decision. The team did a great job on my new floors. My old floors were damaged beyond repair with holes in places from termites. They ripped out the old floorboards and installed a new hardwood floor in only a few days. Highly recommended. I got my floors sanded and refinished - and I'm very pleased with the result. My floors really do look new again. The workers were polite, very professional and trustworthy. The price was really good too. I would recommend them to anyone. I got my floors sanded and refinished - and I'm very pleased with the result. My floors really do look new again. The workers were polite, very professional and trustworthy. The price was really good too. I would recommend them to anyone. The team sanded and polished my old floor with some minor repairs. I don't know how old this floor is, but it really looks perfectly new again. The men were professional and courteous. I like to refinish my floorboards every few years to keep them looking new. I have 2 dogs, so they can cause very slight, but noticeable, scratches over time. I spoke to Ivan years ago and he explained that the wood is not damaged, just the polish on top. I've used their flooring services multiple times over the years and highly recommend them! I like to refinish my floorboards every few years to keep them looking new. I have 2 dogs, so they can cause very slight, but noticeable, scratches over time. I spoke to Ivan years ago and he explained that the wood is not damaged, just the polish on top. I've used their flooring services multiple times over the years and highly recommend them! The crew from Hartnett were very professional - they were polite, on time, and just focussed on the job the entire time. I wish all services were this good! I called for floor sanding and restoration of my old wood floors in the kitchen. They did the job quickly and with no fuss. Very good result - I'm glad I got it done - my kitchen looks sooo much better now. They did a good job. The main guy who gave the quote clearly knew his stuff and gave me good advice on what needed to be done. Yes, I would definitely recommend them. Thank you for the brilliant result achieved at our house. The oak floors look better now than when they were originally done. Ivan was flexible with timing and completed the job quickly! We are absolutely thrilled and highly recommend Hartnett Flooring. Thank you for the brilliant result achieved at our house. The oak floors look better now than when they were originally done. Ivan was flexible with timing and completed the job quickly! We are absolutely thrilled and highly recommend Hartnett Flooring. Ivan and the Team from Hartnett Flooring sanded and polished our timber floors and did an awesome job. Ivan was professional, extremely knowledgeable, very easy to deal with and flexible. Ivan knew his products and recommended the best approach for our needs. We will definitely use Ivan and the Team again. Thanks Hartnett Flooring! Ivan did an amazing job on my hardwood floors. I will definitely use him again for any future work. He recommended floor sanding followed by a floor polish, which what we did and I couldn't be happier with the result. The team arrived on time and completed the work on schedule. A task well done. My floors look perfect again. Fantastic job on my new (old) floorboards. Sanded, treated, polished, etc. all within a few days and looks amazing! Are you after advice or a quote? or use our online enquiry form. With over 20 years of experience, we are the leading floor experts in Melbourne. We pride ourselves on our reputation and ability to deliver the lowest cost and best quality.